1757 Golf Academy is home to one of the premier Junior Golf Academies on the East Coast. Our program is designed for all ages and skill levels. We are proud to have taught over 1,000 young golfers over the last five years! The curriculum is structured to build a foundation for a child new to the game while aiding more experienced players in furthering the development of the skills necessary to achieve success on the course. We have had unparalleled success in developing competitive junior golfers at all levels, including: US Kids Tournaments, Hurricane Junior Tour, MAPGA, VSGA, AJGA, IJGT. New for 2019! Classes are held regularly throughout the week, and can be bought individually or in nonconsecutive packages of 4, 8 or 12 sessions. Class days and times are listed below. When registering, first choose the number of sessions you wish to attend followed by the day and time. The 2018 PGA JLG season will run from mid-March through June on Monday and Tuesday afternoon. During that time each of our 6 teams will compete in games and have several team practices. Our mission is to create a safe and fun team environment for all levels of junior golfers and through golf and the competitive format teach sportsmanship and valuable life skills. All levels welcome. Want to compete at Augusta National? By tapping the creative and competitive spirit of girls and boys ages 7-15, Drive, Chip and Putt provides aspiring junior golfers an opportunity to play with their peers in qualifiers around the country. Participants who advance through local, sub-regional and regional qualifying in each age/gender category earn a place in the National Finals, which is conducted at Augusta National Golf Club the Sunday before the Masters Tournament and is broadcast live by Golf Channel. For more information of the competition, click on the Drive, Chip, & Putt icon. 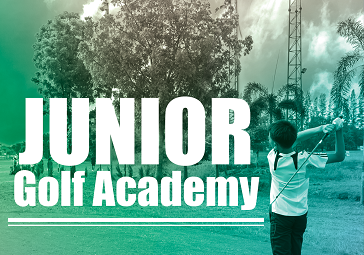 The Junior Academy at 1757 Golf Club will be offering formal practices for the qualifiers for Drive, Chip, and Putt. Each session will be conducted exactly like the actual qualifier will be structured. Practice scores will be taken to see how each competitor will stack up as well as identify any area weaknesses that can be improved upon prior to qualifying. You have the option of registering for individual practices or can register for a series of 4 or register for all practices held throughout the qualifying season. This is a developmental and mentor-ship program for girls, ages 8-17, either already part of a high school golf team or those who one day would like to play golf in high school or beyond. The format is guided towards good etiquette, proper practice routines, drills specific to each player, positive attitudes, and goal setting. Each girl will receive on course instruction along with time at the practice areas improving their full swing and short game technique using video analysis. The girls will learn how to prepare for high school golf, local competitions, or just their casual round on the course in a welcoming team environment. This is a great way to learn new skills, work on your golf game and make new friends. Take part in all 12 weeks or drop-in weekly. Girls Who Golf is a fun and encouraging clinics series designed to expose the game of golf in a girls only environment. In the four session introductory series, she will gain golf skills to feel comfortable on the course and will learn valuable skills to become confident and positive individuals. We teach the girls about core values and successful goal setting. Most importantly, we have a blast! Offered in 4 weeks sessions. Our new Junior Golfer's Training Program will help young golfers move better, feel better, and play better golf! Through the use of protocols from the Titleist Performance Institute (TPI) and the SuperSpeed Golf Training System, we will help young golfers work to improve their foundational movements and highlight the importance of those movements in their golf games to add distance and lower their scores. Studies have shown that it is much easier for a junior golfer to develop speed and power than it is an adult golfer simply due to development. 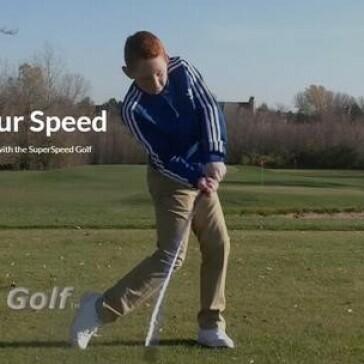 Building speed into your golf swing early will make it that much more powerful as you grow. This 6-week program will be held on Saturdays from 12:30-1:30pm, starting April 6th. Register Now! The Tiny Tees program is designed to give juniors ages 4-6 a fun environment to learn to play the game of golf! 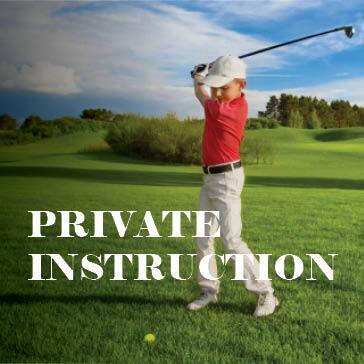 Classes are 1 hour long and are filled with fun, golf focused activities that will keep them coming back for more. In a safe environment where juniors can explore the golf world, they will be introduced to the sport in the most positive manner. Golf course introduction and course safety. For junior golfers ages 10-18, who aspire to play or are already playing competitive golf, the 1757 Elite Performance Summer Golf Camp is the perfect way to raise the level of their game. -Current LPGA Tour Player Lexi Thompson, 10 LPGA Tour Wins. 4. K-Vest 3D Motion Analyzer, and a multitude of teaching aids. -Each junior will receive access to a personalized CoachNow online locker. 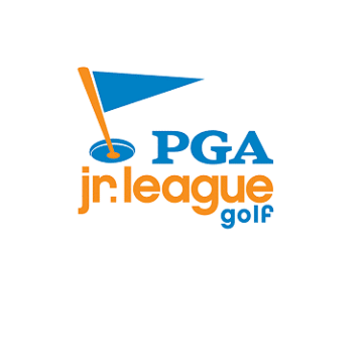 The High School Prep Junior Golf Camp is designed for junior golfers ages 10-17, who play competitively and are getting ready for their high school tryouts. The focus of the camp is to improve the golfer’s skill set allowing them a greater opportunity of making their High School team and/or being more competitive in tournaments. Course management, strategy, risk/reward scenarios will be taught to provide students with the ability to navigate their way around the course better. Most of the camp will be conducted on the golf course along with the short game area. Full swing work will be provided as a way to supplement the student’s ability to score better. This camp is great for any student who wants to learn the art of scoring. Students who already have swing instructors are encouraged to participate. We will work around your swing issues to help you develop as a better player. Individual Lessons provide personalized game enhancement. Each lesson is tailored to the individual needs of the student to achieve improvement. Each session is one hour – ½ Hour Lessons are also available for juniors. All individual lessons include video analysis and provide complimentary range balls to warm up prior to the lesson and for practice afterwards.